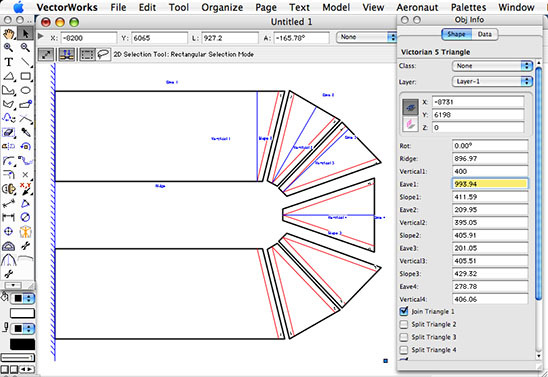 Plug-in tools for Vectorworks CAD software gives any industry the power of specialised rapid pattern design software at a fraction of the cost and development time. 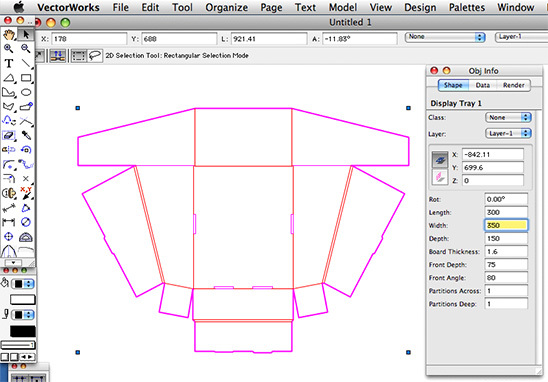 Aeronaut develops plug-in tools for many industries which allow complete patterns to be created in just a few seconds. Many patterns are parametric, meaning they can be reshaped by entering a few key dimensions. Parametric design lends itself to many jobs where the design is of a similar shape, but a different size. Since the pattern is designed in a CAD Program, you can always add special design elements to individual patterns where required, allowing full customisation with just-in-time production. There is practically no limit to what can be designed like this. The shapes can be as small and varied as cardboard boxes, or as large as swimming pool liners. Many different variants to a similar shape can be achieved with parametric plug-ins. 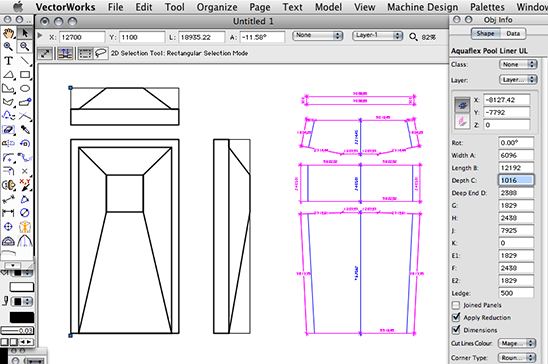 It’s an easy matter to save key shapes so they can be used or reshaped at any time. The fabrication of truck side curtains or tautliners lends itself to plug-in design. Rather than make a stand-alone program, almost all types of truck side curtains can be designed with the same Aeronaut plug-in tool. Conservatory blinds is another job for plug-ins. The cost of programming a stand-alone application for this is huge compared with the cost of a plug-in tool. These examples are just a few of the plug-in tools Aeronaut has already developed. You can download details in pdf format from our Downloads section. Aeronaut is continually developing plug-in tools for industry specific applications on a non-exclusive basis. If there is something your industry needs, contact Aeronaut. We may have developed your tools already!